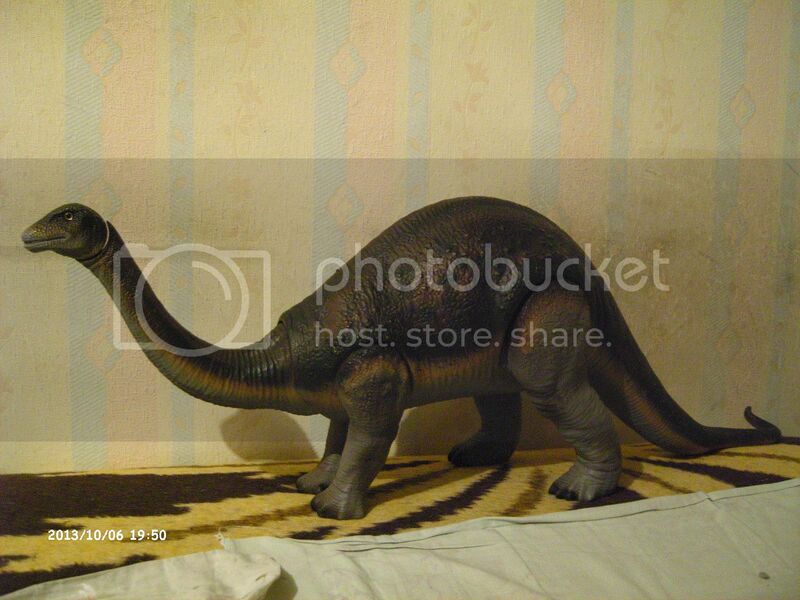 I was lucky enough to get a loose Brontosaurus (dino only) for about 35$ only. After getting the toy, the seller told me he has another one which he kept for himself as he preferred the colors... I asked for pics and he sent them. Indeed, the one I got is more on the greyish side, while his is more of a brown shade. 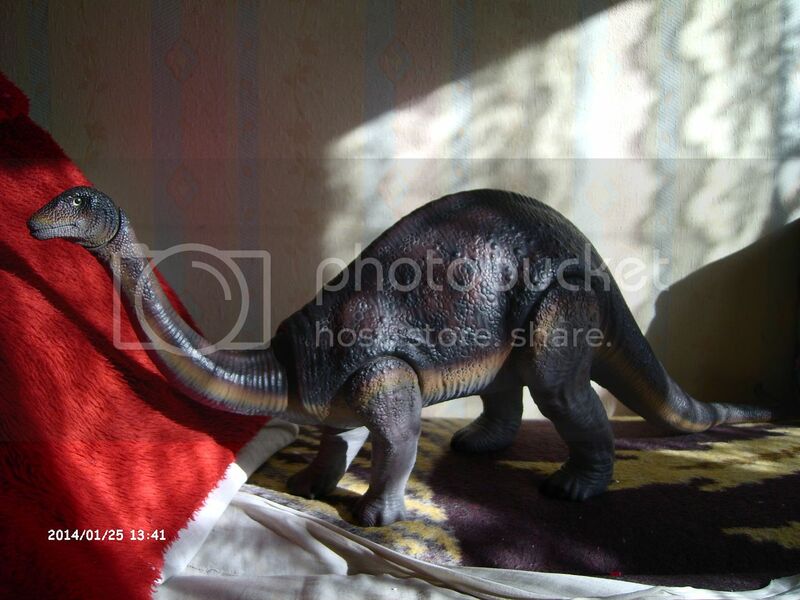 I was unaware the Bronto had color variants, even the official page doesn't list them... anyone knows more? And here's his toy, with the more reddish brown sides and less grey. Anyone knows the origin of this variety? Cool. I wonder, could it possibly a custom paint job? I have had three brontos. Two were light. The one I have now is very dark like the one your friends has. When I got it, I assumed my other two had faded in the sun, because the colors were so different! 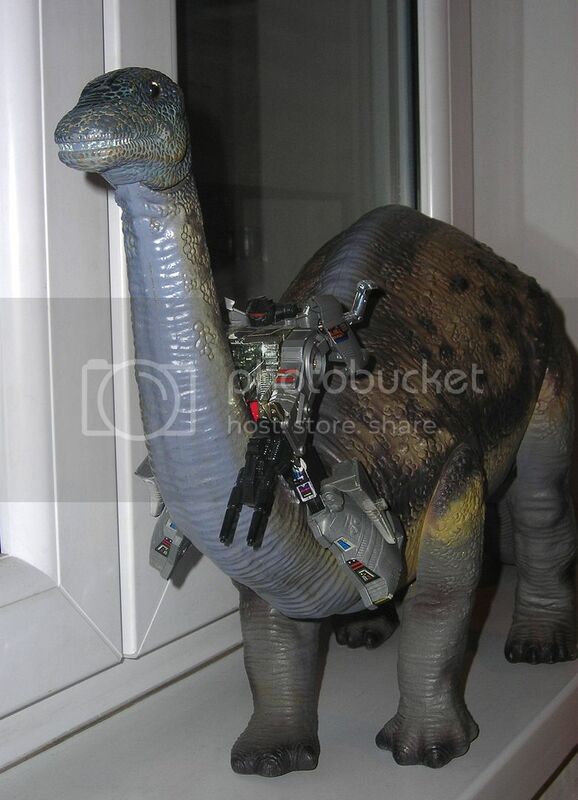 My living room smells like old plastic dinosaur toys... Better than air freshener! Could be fade..or factory variation.